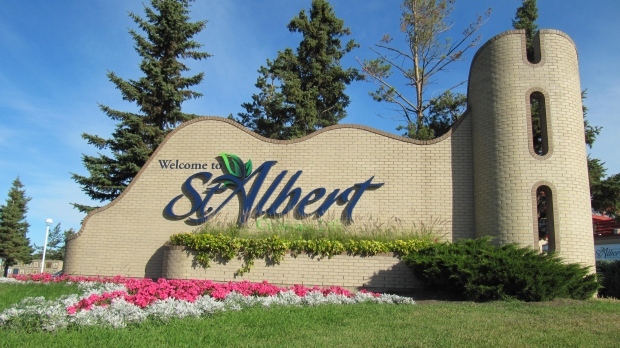 When you visit St. Albert, you will see the mature tree-lined streets, bustling downtown district, expanses of natural areas and the thriving commercial sector. Behind the scenes, this small city boasts low unemployment rates, low crime rates, good schools, quality healthcare, parks and trails and recreational facilities. It’s no wonder St. Albert has been recognized on a national level by several independent publications as one of the best places to live in Canada, on more than one occasion. Here are the top reasons to live in St. Albert. St. Albert’s greenspace is vast, offering opportunities for exercise, relaxation and playing in the great outdoors. The Red Willow Trail system offers over 85 kilometres of multi-use trails, running through the Sturgeon River valley and connecting to the city’s major parks and neighbourhoods. In addition to these trails, there are 112 parks and 77 playgrounds making up 1370 acres of designated parkland for you to discover and enjoy. St. Albert is the safest city in Alberta to live in. According to the city’s last annual policing report, St. Albert had the lowest crime severity index in the province and placing the city below the Canadian average. Good policing, strong communities and caring neighbours contribute to the city’s safety. There are three school districts in St. Albert, providing a variety of learning programs from kindergarten to grade 12. Choose from French Immersion, International Baccalaureate education, academic programs like Cogito, Learn through the Arts, Sports Academies, Integrated Digital Technology and others. Students consistently rank above provincial average in standardized tests and regularly qualify for scholarships. St. Albert is one of the only bedroom communities of Edmonton that has its own hospital. The Sturgeon Community Hospital offers emergency, women's health, cardiac care, surgery, medicine, pediatrics, and rehabilitation care in modern, clean facilities. There are more than 2.5 doctors per 1,000 residents who offer general family medicine as well as specialized care. St. Albert has had a reputation for offering mostly single-family homes. While these great homes are still there, the city now offers a variety housing options including rental properties, apartment condos, townhomes and duplexes. According to the latest housing market report, the average sale price has increased over 5.8 per cent in St. Albert since last year, making it a smart city for your real estate investment. The Perron District is the heart of St. Albert. This flourishing centre showcases the best of the city through businesses, culture, art and natural surroundings. Head downtown and enjoy the nearly 50 independent shops, cafes and restaurants that this lively district has to offer. People come from all corners of the Edmonton Metropolitan Region to visit the St. Albert Farmers’ Market. This impressive outdoor market is Western Canada’s largest, featuring 250 vendors, special event days and a bounty of top market-quality products that are all freshly and locally made, baked or grown. There is no shortage of things to do here. Community favourites include the Rainmaker Rodeo, Dig In Horticulinary Festival, Seven Music Fest, Rock n’ August, Snowflake Festival and the International Children’s Festival. Residents of St. Albert take recycling seriously. The city offers a curbside garbage, organics and recycling program that diverts 67 per cent of St. Alberts residential waste from going into a landfill. In addition to the curbside waste collection program, there are also special-item recycling depots and seasonal waste programs. Want to get to know your neighbours? Move to St. Albert! Annual block parties are a part of the community’s tradition and over 150 different neighbourhood parties were held last year. Usually occurring in the summer, these warm evenings of food and fun are a great way to make and renew connections with the people in your community. This active participation in the community is a critical element in developing a caring and save place to live. The City of St. Albert’s vision for the community is to create a friendly and inclusive community of passionate equals, where everyone feels a sense of belonging. They believe that community starts with the person next door. The city’s unique identity, small town values and community focus have contributed to the high quality of life here, making it a great place to live and raise a family. An earlier version of this article stated real estate in St. Albert went up 10 per cent since 2017. 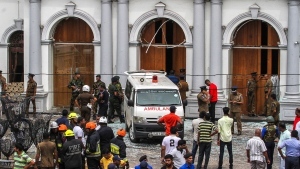 As of the date of publication, the increase was 5.8 per cent.